1. How will an influx of talent shake things up for mixed? Player movement across teams and divisions is a constant in our sport, as people move around the country for work, relationships, or other opportunities. It refreshes rosters, mixes strategies and playing styles, and injects new elements into long-standing rivalries. But, this year, it feels like a bit more is at stake, as the number and quality of players swapping single-gender for mixed has the potential for a major impact on the current hierarchy — and it could constitute a sea-change for how the division is perceived. Much to the chagrin of many mixed players and teams, there remains a sizable chunk of the ultimate fanbase who believe that mixed is a second-class division, hardly worthy of the attention it receives. Full-throated supporters maintain that the division is a legitimate option for top-end talent and that excelling in coed takes more strategy and commitment than simply throwing a few star players together on the field, pickup style. Fairly or not, the influx of talent this year could add fuel to that debate as partisans on both sides seek evidence that supports their beliefs. Last season, exactly zero members of the US World Games roster were plying their trade in the mixed division, lending credence to the argument that even at its top end the division was not on the same plane as its single-gender counterparts. Heading into 2018, 20% of that World Games roster has made the move to mixed — Sandy Jorgensen, Claire Desmond, and Georgia Bosscher headline the brand new Washington DC Space Heater, while Nicky Spiva moves to reigning national runners up Philadelphia AMP. But the list of eye-popping additions doesn’t end there as National Team veterans and all-club performers including Peter Prial, Jenny Fey, Nick Lance, and Brian Garcia have also popped up on mixed rosters this summer. And it’s not just aging stars moving into a new phase of their career; young studs like Joe Freund and Julia Butterfield have also made the switch, joining a number of their U24 teammates who already compete in mixed. Can a new all-star squad make an immediate impact on the national stage? Will traditional powerhouse programs reinforce their position at the top? How that plays out this season will be one of the defining storylines of 2018. 2. How will WUCC impact the mixed landscape? Five of the top mixed teams in the country (Seattle Mixtape, Philadelphia AMP, Seattle BFG, Boston Slow White, and Boston Wild Card) are on deck to play at the 2018 WFDF World Ultimate Club Championships in Cincinnati from July 14-21. Only Wild Card will play a TCT tournament beforehand, making the trip out to Colorado for the Pro-Elite Challenge as a final tune-up before WUCC. The other four? AMP and Slow White joined Wild Card at the Boston Invite, but nothing else close to the intensity of a TCT tournament. They will fill out their schedule after WUCC, with Mixtape, AMP, BFG, and Slow White playing in the US Open before all five see the field again at the Pro Championships. This adds up to a grueling schedule, and teams outside the Pro Flight will have few chances to test themselves against the best in the division. This schedule, and the homogenous slate of competition, could lead to a lackluster regular season. WUCC exacts a heavy mental and physical toll on teams, and given how early the tournament is compared to the rest of the USAU season, expect to see some hangover effects across the board for the top teams. It will be fascinating to see which teams are able to maintain that championship mentality throughout the year, especially for a team attempting the “double peak” (winning both WUCC and Nationals in the same year). Outside of the top five, fewer top teams at tournaments like the Pro-Elite Challenge and the Elite-Select Challenge could lead to some surprising results. While we will not get the chance to see a team upset the established order like BFG did last season, the competition will be fierce among the Elite and Top Select Flights looking to prove themselves and break into that top tier at Nationals. 3. How will the new “end zone decides” rule affect teams? There is a new rule in the mixed division this year, one that is designed to provide more opportunities for equitable playing time and touches for women and men. In the past, gender ratios were decided on an “offense chooses” basis. This usually led to teams with strong female players going 4W:3M on offense, and getting forced to play 4M:3W on defense. This year, however, whichever team is defending a certain end zone gets to choose the ratio. This will give teams the opportunity to dictate the ratio on defense as well as offense, assuming they are defending the chosen end zone. Forcing teams to play with a 4W:3M ratio on offense, in theory, could go a long way to evening out the gender involvement gap we see in the division. A great idea, then. But how do we see this playing out? If anything, this will highlight the gaps between the teams who just want to play “bro-ball” and the teams who focus on getting contributions across their roster from all genders. Teams who believe they have a talent advantage playing a 4W:3M ratio will still play that ratio whenever they can, and being able to call this on defense could lead to a few more break opportunities. Expect to see Philadelphia AMP look to push their advantage as much as possible, with Seattle Mixtape, Boston Wild Card, Washington DC Space Heater, and San Francisco Mischief following suit. Conversely, out of last year’s Nationals qualifiers, Fort Collins shame. and Minneapolis No Touching! could be the most adversely affected, especially when playing against teams looking to go 4W:3M. It’s hard to tell the impact that V.Y. Chow had for Blackbird last season by just looking at the stat sheet. 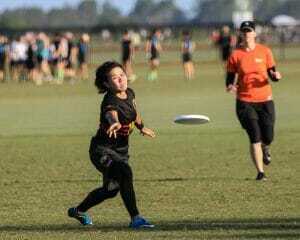 Her 2G/4A/0D at Nationals aren’t very convincing, but they hardly do justice to the impact Chow had for Blackbird. As one of Blackbird’s primary initiating cutters, Chow was almost exclusively responsible for jumpstarting the Blackbird offense. Her ability to deliver in these situations was a major reason for the team’s success in 2017. If not for her performance at the Pro Championships, the Southwest would have been a one bid region last year. With the move to Mischief, Chow’s role on the team is likely to adapt, but not by much. 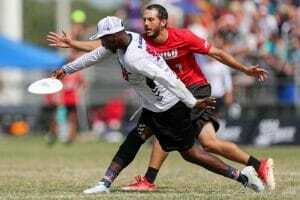 Mischief’s disappointing run at Nationals was due in large part to their inability to gain traction downfield. The Bay Area team was often forced into high stall hucks because they struggled to get open with under cuts. Chow can change that immediately. Her uncanny ability to displace her defender while cutting should open the field for her teammates and relieve pressure from the handlers, particularly off a stopped disc. Mischief has made several big moves this season, but the spark that Chow provides on offense may be the most crucial. It seems odd to say that Khalif El-Salaam had an off year in a season where he helped Seattle Mixtape win the team’s first-ever National championship. He had a huge impact on defense when he needed to with two clutch blocks in the quarterfinal matchup against Boston Wild Card to win on double game point. His throws created break chances for their defense that few players could match. And yet, two high profile bad bids in televised games, combined with very public Twitter feuding and some lingering injury issues last season leaves us all wondering how this year will shape up for El-Salaam. He has always possessed jaw-dropping athleticism with the throws to match, and is a force on defense for Mixtape. But last year he took on fewer high-profile matchups than one would expect for such a dynamic player. For Mixtape to have a chance at a repeat, they need a focused, healthy El-Salaam to play at his best. Mixtape’s grueling tournament slate will be a test, both mentally and physically, and how he responds will surely impact Mixtape’s fortunes this year. Sandy Jorgensen’s move to Mixed may be the biggest storyline in ultimate this season. The #DivisionDecision (trademark pending) caused an immediate shift of power in mixed ultimate. Jorgensen’s move, along with those of her new teammates, was so impactful that there is a very real chance last year’s Nationals finalist AMP may not even qualify for Nationals this season without some bid luck. It’s easy to chalk this up to hyperbole, but anyone who’s seen Jorgensen play knows that her game can seem hyperbolic. Last season, she led the Women’s Division in goals at Nationals and crossed over to the defense every time Washington DC Scandal needed a break. As one of the best female athletes in the sport, Jorgensen’s move to mixed presents an immediate problem for every team that will face Space Heater this season. Game planning against that star-studded roster is hard enough, but Jorgensen will still probably have to be the focal point of the defense. There’s probably plenty more we could say about Jorgensen, but what’s the fun in that? Just watch her play. The results will speak for themselves. Former Case Western standout and USA U24 player Danielle Runzo steps into the spotlight for a Public Enemy team in transition. The Dallas squad loses 16 players from last year’s Nationals campaign, including former Ultiworld OPOTY Chris Mazur. Lucky for them, Runzo has a habit of stepping up when it matters. In their thrilling double game point loss to Seattle Mixtape at Nationals, Runzo tallied a 3G/2A/1D statline to keep the Public Enemy offense moving. Her work out of the handler set provided a much-needed release valve against opponents focused on stopping Mazur and fellow handler Kevin Christian. Runzo’s overall role in the offense won’t change much. She’ll still be relied on to keep the offense from stagnating and distribute the disc for the new-look Public Enemy. Runzo will need to take her experience from last season’s Nationals run and her U24 win in Perth to provide on-field and off-field leadership as a captain, and for Public Enemy to get back to Nationals this year in a crowded South Central region. While the rise of an on-paper superteam in DC has dominated the mixed headlines to this point, Philadelphia AMP have countered their new regional threat by acquiring their own all-world talent. Nicky Spiva, a 1st Team All Club selection the past two years with Truck Stop and a 2017 World Games alternate, will be suiting up with the reigning national runners-up both at WUCC and through the Club Series. While not a perfect like-for-like replacement for the departing Mike Ing, Spiva’s well-rounded offensive skillset brings added stability and yet another weapon to a fearsome AMP O-line that was one hold away from capturing a national title in 2017. Capable of both dominating as an initiating cutter or owning the backfield space with poise, he also brings incredible experience and leadership to the table. With two tournaments already under their belt as they prepare for WUCC, AMP has had the chance to explore different roles for Spiva; the early returns have been positive. If they find a way to maximize his impact, both he and AMP will once again be in the conversation for end-of-season hardware. The defending national champions kick off the season at the top. With very little turnover compared to some of their rivals, Mixtape looks poised to make another title run. Mixed POTY Mark Burton is tearing up the AUDL again as the current assist leader, and expect him to pick up the main handler duties once again for the Mixtape offense. The additions of tall, speedy cutters Emily Smith-Wilson and Ellen Goldberg, combined with mainstays Abbie Abramovich and Brad Houser, should make for one of the most potent downfield offenses in the division. On defense, Defensive POTY Evan Klein, Bert Abbott, Jen Cogburn, and El-Salaam create a dangerous unit on the turn, and adding Reed Hendrickson brings in yet another athletic deep threat who can disrupt opposing offenses. Mixtape is in great shape for a repeat and should make a run at a WUCC title to boot. Not sure if you’ve heard, but apparently there’s a new mixed team in DC. Space Heater, a squad conjured up out of nothing this offseason, will enter the year among the favorites — and for many, THE favorite — to bring home a national title. Three members of the country’s 2017 World Games roster will suit up, tied for the most of any club team in the nation. Their talent doesn’t stop at Jorgensen, Desmond, and Bosscher, though; also signed up are Jenny Fey, Alan Kolick, and a number of budding young stars who helped lead Swing Vote to back-to-back YCC mixed titles in 2015 and 2016. But their lofty early season ranking is about more than just roster composition; at their first tournament of the summer, Space Heater handled all challengers at the AMP Invite – including the hosts. With only the Chesapeake Invite on their calendar before the Series, the entire Mid-Atlantic will be hoping these early results hold up enough to ensure Space Heater earns a bid for the region. It’s unlikely Space Heater will be too worried either way. Coming off a season that saw them come oh-so-close to the program’s first title, Philadelphia again appear poised to overpower just about every team in the country. Much as been made about the talent and usage of AMP’s women — and for good reason. Raha Mozaffari continues a storied career with Philadelphia’s top team as a focal point of the offense, Anna Thompson emerged as program cornerstone last year as both the Breakout POTY and a runner up for the overall award, and Carolyn Normile picked up a College Player of the Year award this spring, giving AMP a trio of the best women in the division. Losing Mike Ing to Temper hurts, but his absence is mitigated by the addition of the aforementioned Spiva. Philly’s roster is stuffed with versatile playmakers, and their methodical system grinds opponents down. AMP stumbled a bit in their opening action this summer, losing two games at their home tournament, but recovered nicely to win the Boston Invite late last month by sweeping the Northeast’s top teams. They’ll take that victory, but AMP rightfully have their sights set on challenging for both national and international titles in 2018. Seattle BFG proved their first season was no fluke, winning the Pro-Elite Challenge and the Elite-Select Challenge last year before a run to the semifinals at Nationals. A team based around savvy veterans like Adam Simon and Kate Kingery have added two more in Mario O’Brien and Rena Kawabata, players who will make this year’s squad more balanced across the board. BFG adds Julia Bladin as well, and with standouts Tommy Li, Kieran Kelly, and Crystal Koo returning to the fold, expect BFG to challenge for the top spot in a competitive Northwest region. Equally willing to grind out points as they are to look deep, they will have regional rivals Mixtape firmly in their sights. Few squads can boast such a wealth of experience, and expect that experience edge, plus some new athletic pickups, to carry them on another deep run at Worlds and Nationals. Mischief was one of the first mixed teams to release their roster, embodying the saying, “when you’ve got it, flaunt it.” The additions to Mischief’s roster are one giant flex to the rest of the division. Robin Meyers, Elliot Chartock, and Sean Childers are all considerable talents, with Meyers’ 2017 performance earning him a 2nd team All-Club spot. However, it’s the influx of female talent that has shot Mischief’s stock so high. Julia Butterfield and Julia Kwasnick were both overwhelming forces for their respective college teams this year, with Kwasnick taking UCSB to their first Nationals since Lisa Pitcaithley left, and Butterfield helped Stanford reach the semis. V.Y. Chow needs no introduction. After an underwhelming finish at Nationals last year, Mischief has given themselves the equivalent of an adrenaline shot with their rookie class, and will play with something to prove. For a team that has seemed on the cusp of great for the past few seasons, this may finally be the year Mischief plays their way back into title contention. For the second straight season, Slow White has turned over a considerable chunk of their squad. The program had enjoyed years of relative stability as their core built to a 2016 Nationals victory, but just two years removed from their title, only 11 players remain from their veteran-heavy championship roster. Gone are All-Club performers Tannor Johnson, Lexi Zalk, and Miles Montgomery-Butler, along with 2017 DPOTY runner up Mia Bladin. Amidst a significant changing of the guard for the longtime powerhouse, Slow White has reloaded with a host of college All-Region performers. Players like Pat Barron and Caitlin Go are ready to take on an increased workload to support 2016 Player of the Year Jeff Smith, but Slow White’s relative youth and an especially strong New England region are serious threats to the team’s chances of extending their division-leading streak of three consecutive semifinal appearances. Still, it’s never wise to count out an institutional winning culture. Drag’N Thrust has been in a slow fall from their three consecutive national titles, losing in the semifinals in 2016 followed by a quarterfinal exit last year. They retain 12 core players from their championship in 2015, but lose a big name in Jay Drescher this year. 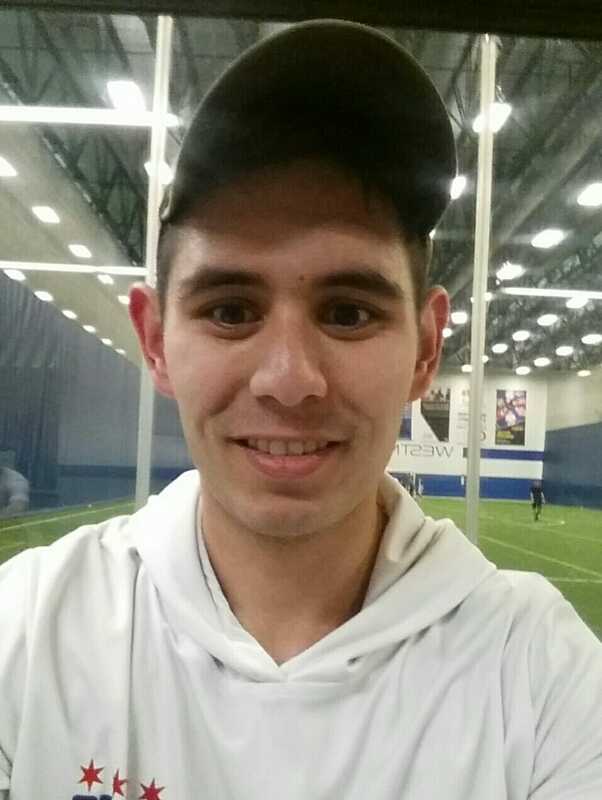 However, this sets the stage for Brian “Strings” Schoenrock to re-emerge as one of the most dominant downfield threats in the mixed division, after suffering from injuries last year. Drag N’ Thrust still has plenty of star power on their roster with Lien trio (Austin, Jacob, and Martha), 2017 1st team All-American Sarah Meckstroth, 2017 Breakout POTY second runner-up Charlie Schuweiler, along with Schoenrock. Expect them to hold their ground near the top of the mixed division, but they may need to draw from their entire roster to distance themselves from the parity in the North Central region. For a small Division III program, Middlebury has an impressive history of producing club-ready talent. Long a productive pipeline for Slow White, the Pranksters crew have now struck out on their own, consolidating alumni that had been playing on top squads in New York and Boston to form Snake Country. Lexi Zalk and Peter Prial are the headliners and will be as strong a cutting pair as you’ll find in the division. Combined with talented pickups like Brian Garcia and Jamie Quella, Snake Country has quickly emerged as a formidable new challenger in the Northeast. 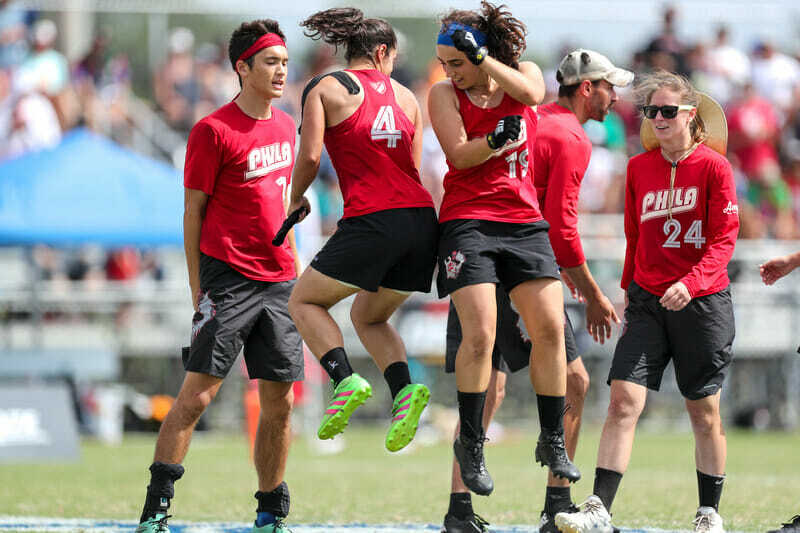 They made runs to the final in both of their June tournaments, falling to Slow White at Mixed Easterns and AMP at Boston Invite, while picking up impressive wins over WUCC-bound Wild Card and regional threat League of Shadows. While they may endure a few new-team speed bumps as they iron out their lines and back end of the roster, the talent is certainly there for Snake Country to make a serious push toward Nationals. Losing a player the quality of All-Club 2nd Teamer Robin Meyers would be brutal for any team, but it’s especially rough on a squad where he was so pivotal to their success. Coach Mike Mackenzie’s system concentrates a lot of touches in his handlers’ give-and-go movement, and it will be difficult to replace both Meyers’ skill and his chemistry with longtime running mates Ian Engler and Lloyd Olson. There have already been some transitional struggles; Wild Card dropped a game to Snake Country at Mixed Easterns and failed to even qualify for the bracket at Boston Invite. Hailey Alm is still in line to initiate a lot for the offense and they’ll look to work in a crew of rookies from the deep pool of New England college talent, including Donovan award winner Tamar Austin and Tufts’ Joseph Carreiro. Predicting the strength of Blackbird year after year has long been an enigma. The Bay Area team will often struggle when we expect them to succeed or completely outperform expectations in “down” years. If this trend continues, this could prove to be a promising year for Blackbird. 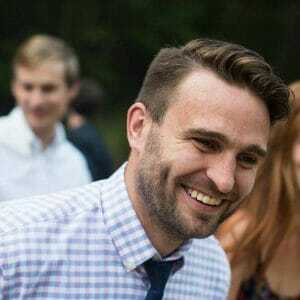 With the losses of Jamie Quella, Tim Gilligan, V.Y. Chow, and Seth Reinhardt, it would be easy to chalk this season up to a rebuilding year. But that would be a gross underestimation of the full range of talented players in the Bay. Blackbird may have lost major contributors, but they pick up Lexa Stambaugh, John “Dada” David, and Molly Hallweaver. They’re also rejoined by Briana Cahn, who was out with an injury last season, and may even see some late season pickups. With the team they have now, Blackbird’s offense should still hold their own against the best teams in the nation. Considering how well Blackbird has adapted to roster changes in the past, it’s not out of the question for the team to shake up the division with a few key upsets. Public Enemy had significant roster turnover going into 2018 with 16 players departing from their 2017 roster including one of the best in mixed, Chris Mazur. While Dallas will certainly feel the void left by Mazur, Public Enemy was never a one-man-show. Veterans Kevin Christian and Danielle Runzo have shown that they are able to quarterback the Public Enemy offense and put them in position to win big games. Public Enemy hasn’t played a USAU tournament yet in 2018, although they did scrimmage the Colombian mixed team D-Crash, winning 13-2. They’ll enter the Pro-Elite Challenge as a the second seed. With so many new additions, chemistry and identity will likely be top priorities for Dallas this weekend. Boise Lochsa (formerly BoyShe) may be a relatively unknown group outside the Northwest region, but they already have a tournament win under their belts, taking down both top Colorado mixed teams en route to winning Fort Collins Solstice. After an up-and-down regular season last year, Lochsa put in an impressive performance at Northwest Regionals, falling only to Seattle Mixtape and Seattle BFG to lock up a Top Select berth and have hit the ground running this season. Lochsa brings in nine new faces this year, and while they’ll struggle to replace Alex Hardesty’s handling, new pickups Jai Bansal and James Dahl add youthful athleticism to a tight-knit core. With the Select Flight Invite and the Elite-Select Challenge on their tournament slate, strong performances on top of Lochsa’s Solstice win could tie up a third bid to Nationals out of the Northwest. With significant roster moves, Love Tractor is hopeful that their new additions will earn them their fourth straight nationals campaign and help them secure some statement wins on the big stage. Key additions to the Love Tractor roster include former Johnny Bravo veteran Jesse Roehm; two-time Australian National Champion and three-time World Championships competitor Geoa Geer; and former Colorado College star and Drag’n Thrust player Robin Fassett-Carman. The squad from Denver already has a tournament under their belt, finishing third at Fort Collins Summer Solstice. After losing to Five One Two (a Masters Worlds Team out of Austin) in pool play, Love Tractor knocked off in-state rival, shame. in the semis play-in game before falling to Lochsa. Love Tractor will bank on home field advantage at this weekend’s Pro-Elite Challenge will be the edge they need to get back on track. A season after a strong quarterfinals exit, Fort Collins shame. is off to a slow start, finishing fifth in their first tournament of the season. Shame. fell to Love Tractor, Lochsa, and Denver Mesteño at Fort Collins Summer Solstice in June. They are hoping that the experience of new roster additions, Nick Lance and Joe “Smash” Anderson, will round out their roster and help them advance deep in the Nationals field, though they will feel the absence of Ashley Daly Morgan. They’ll have a shot to rebound after a slow start this weekend at the Pro-Elite Challenge in their backyard. Madison NOISE is another longtime program showing off a fresh look in 2018. For the Pro-Elite Challenge roster, they are only returning 12 players from their 2017 Nationals team, and that volume of turnover can spell trouble early in the season. The biggest loss is Ari Davidson, who led the team with 17 assists in Sarasota. However, they still have well-rounded studs in Kyle Weigand and Dayu Liu to rely on. Look for Frank Qin to step up in the hole left by Davidson. NOISE’s new roster and Minneapolis No Touching!’s traditionally slow starts could make the North Central a one bid region. NOISE will need to come together quickly to earn the North Central a strength bid. No Touching! ended last year with a bit of a surprise, as they came into Nationals as the No. 16 seed and ended tied for ninth. Heading into the Pro-Elite Challenge, they return all but four players from their 2017 Nationals roster, led by top performers Patrick Jensen and Sam Valesano. Their older roster has been consistently successful and will look to build in the highly contested North Central region. They have one of the lower turnovers rates in the region and have blown by expectations the last two seasons. No Touching! is in a prime position to make another run to Nationals this year if they can overcome their usual slow starts. At last year’s Pro-Elite Challenge, they went 1-6. With the margin for error thinner than ever, No Touching! has to come out strong to keep their Nationals streak alive. Alloy is in a tricky place this year. With two tough regional opponents in AMP and Space Heater, they need to put together some strong results early on to get into pole position for a strength bid for the Mid-Atlantic. With a wide-open Pro-Elite Challenge coming up, Alloy have that chance. They need make a statement on the national scene, and a good Pro-Elite Challenge combined with a strong Elite-Select Challenge performance should lock up a bid for the region. It also gives Alloy the chance to control their own destiny at Regionals, but they need to be wary of a rising West Chester Loco team. Picking up cutter Owen Watt will certainly help keep the team moving in the right direction, and with Christie Lawry captaining again, Alloy have the veteran leadership in place to make another push to Nationals. Metro North left it very late last year in wrapping up a third bid to Nationals for the Northeast, relying on a few good performances at the Pro Championships to sneak past Pittsburgh Alloy in the rankings. This season, the challenge ramps up even further. Gone are standouts Misha Horowitz, Elsa Regnell, and John Korber, and with them go 37 goals from last year’s Nationals squad. Andrew Bosco, Lauren Doyle, and Sean Murray are still around — expect that trio to do the heavy lifting for a team with some stiff competition for a bid. With Slow White and Wild Card in the mix, plus the rising Snake Country and League of Shadows out of Boston, the Northeast region is ready for fireworks. 7 Figures has always suffered from being in a tough region, and last year they lost out on their chance to steal a bid to Nationals with a double game point loss to the Polar Bears. In response, 7 Figures have doubled down on SoCal talent and added the larger part of a disbanded San Diego Dorado team to their roster. The L.A. team has nine players from Dorado’s most recent roster, and their new leadership core is predominantly made of previous Dorado members. They’re also joined by bastions of mixed ultimate like Misha Horowitz and Brian Stout. The consolidation of talent from around SoCal is clearly a push to get past their Northern California rivals and make a run to Nationals, especially since it’s in their backyard this year. It will be interesting to see how a stalwart program like AMP and an all-star team such as Space Heater match up against the talent consolidation happening in West Chester, PA. The city’s two top teams in 2017, Bang! and Dub Club, battled to double game point in the regional quarterfinal, with Dub Club going on to give Philadelphia AMP a scare in the Mid-Atlantic semifinals. West Chester Loco’s roster has 10 players from both Bang! and Dub Club and has the talent to make a run at Nationals. Lindsay McKenna should have a breakout season, fresh from leading West Chester University to its first Nationals appearance and earning a First Team All-Region nod. Loco has already capitalized on their combination of talent and chemistry with an early tournament victory at Glazed Daze, beating Durham Toro in the process. After a few years of high roster turnover, the Polar Bears seem to be out of rebuild mode and into attack mode. Of the current Southwest teams in our top 25, the Polar Bears experienced the least change from their 2017 roster and accepted only five new players onto their squad. If this is the core they’ve chosen, it looks primed to last for several years. The Bay Area team is incredibly young, and many of their stars are only recently removed from successful college careers. Considering how well the team performed last season, ending the year ranked 19th in the nation and only two breaks away from a Nationals appearance, their consolidated roster may finally have a chance to show what they’re capable of. Durham Toro, last year’s Nationals qualifier for the Southeast, stumbled a bit coming out of the gate against a strong West Chester Loco team, but should still be considered the favorites to lock up the top spot from their region. WIth the Pro-Elite Challenge just around the corner, Toro has an early chance to get back on track and prove they are still the class of the Southeast. Despite 13 new additions to the roster this season, Nationals standouts Christine Bookhout, Paul Weeks, and Lucas Darden are back for another year and figure to lead the charge. Lyra Olson and Jackie Wang are both strong additions for this year, and look for this group to consolidate their hold on the Southeast region. Atlanta Bucket comes into the year with nine new faces on top of twelve departures, but started strong with a win at the ATL Classic. Despite a strong push from fellow Southeast team Method in pool play, Bucket breezed through the bracket to notch a confidence-building tournament win, which should help settle the team. Georgia College standout Katherine Yost and the returning Katie Franchot will provide another speed boost to a team that has been on the outside of the Nationals picture for a few years now. As competition ramps up in the Southeast, the Atlanta team will have the Select Flight Invite circled as an opportunity to earn a second bid for the region. Steamboat fell to 14th at Nationals last year and now face a massive roster turnover. Including practice players, they have 17 new faces out of the 28 listed. Steamboat’s previous success has drawn talents from all over the Great Lakes mixed, women’s, and men’s teams to pull their 2018 team together. They do retain their four leaders in goals from 2017 Nationals (all four also in their top six in assists) with Tim Settles, Brittany Winner, Ryan Gorman, and Jeff Haney. Steamboat may seem new, but they can still beat teams the same way, with several do-it-all players. Look for Steamboat to maintain control of the weaker Great Lakes region, but there are several other teams from around the region licking their chops at Steamboat’s high turnover. With a fourth squad making this Top 25, Boston may have surpassed San Francisco as the city with the deepest set of teams ready to challenge for a bid to Nationals. After an out-of-nowhere run to the Northeast game-to-go last fall, League of Shadows continue to surprise at the start of the 2018 season, earning a big win over crosstown competitors Slow White at Boston Invite. The roster no longer sports Dartmouth star Piper Curtis, but they nabbed ace cutter Tyler Chan in Ironside’s dismantling. Still looking up at a host of regional competition, League of Shadows will look to capitalize on the schedule opportunities afforded by their Top Select status and bring another bid back to the Northeast, as no number will feel like enough heading into a stacked Regionals. Comments on "Club Season Mega-Preview 2018: Mixed Division"